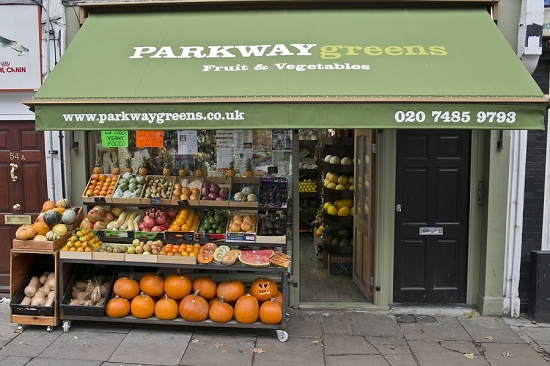 Parkway Greens, a grocers in Camden Town, is a business built on the ashes of the economic meltdown. Rewind six years and Sevket Gokce sat behind a desk selling mortgages. Then the credit crunch destroyed his trade. 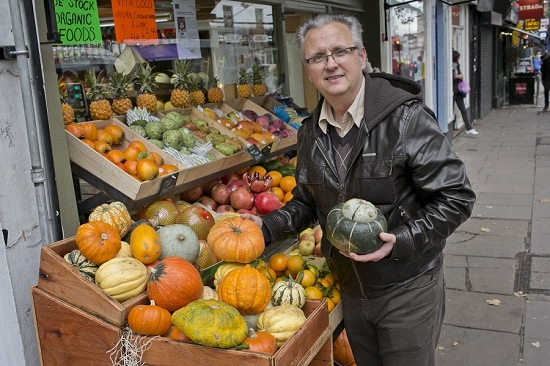 Now he is proud boss of Parkway Greens, a business launched at the beginning of 2014 and still thriving. 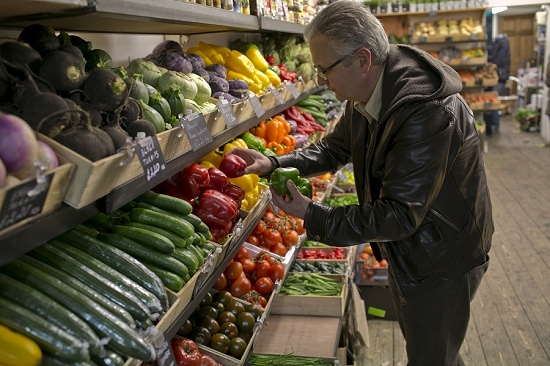 "This is a completely new thing for me," Sevket says, carefully arranging produce on the shelves. "But if you want success you have to start from scratch." 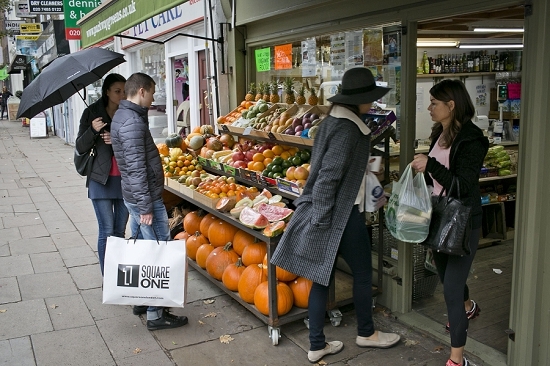 The shop was nominated for the Time Out Love London awards and has been championed by celebrity chefs including Yotam Ottolenghi. This remarkable success is not just down to hard work and good fortune. Behind the scenes, Sevket can draw on some heavyweight retail experience. 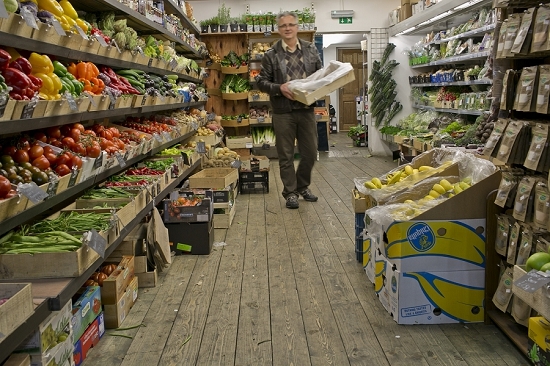 His business partners are some of London's most respected grocers – owners of Newington Green and Clifton Greens, two shops renowned for their extensive range and visually attractive displays. 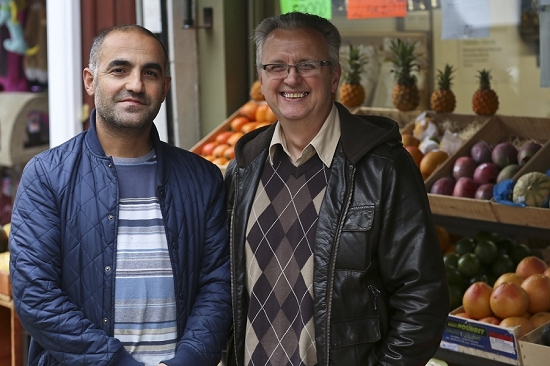 Kamil Demir (pictured below left; Suvket right) is the original founder of the first shop, and can be spotted at New Covent Garden Market on Tuesdays and Thursdays each week. This visual flair and wide range is evident at Parkway Greens, too. 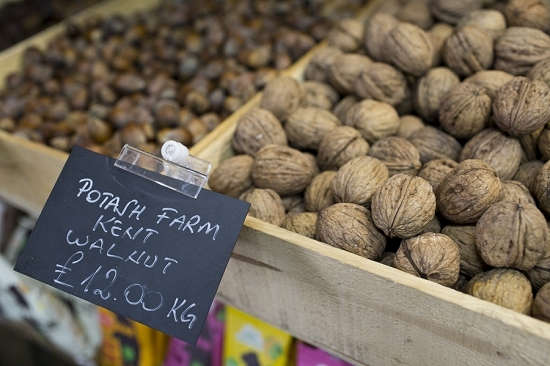 There are six types of grapes, for example; kaffir lime leaves; turmeric; galangal; fresh dates; tomatoes of all shapes and sizes – all lovingly displayed and labeled. 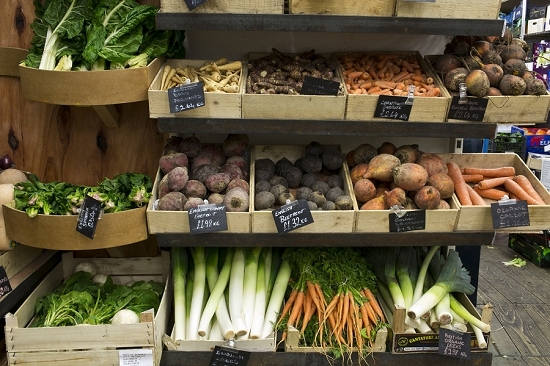 You will also find a heavy focus on organic produce, plus a wide range of dry goods including jars of harissa, preserved lemons, stuffed vines leaves and tins of Heinz baked beans. Free delivery is offered on orders over £30. The location of Parkway Greens is intriguing: plenty of passing trade but also stiff competition. Wholefoods, the US chain, is directly opposite. Within a ten minute walk theirs is also a Sainsbury's, Marks and Spencer, Waitrose, Co-op and Morrisons. Sevket says: "We are a small shop trying to survive in this environment. When people go to supermarkets they think it is cheap but it isn't. Our prices are cheaper." He believes big corporations cannot match his attention to the quality and range of product, nor his customer service. "Covent garden is more organised. They are nice people. It's a joy to work with them. You feel yourself very welcome." "Companies like French Garden and Premier Fruits are giving good prices on products, they are good suppliers and look after us." Kamil, who drops by the shop, agrees: "They are a bit more friendly. When my van is full they always offer delivery as well." 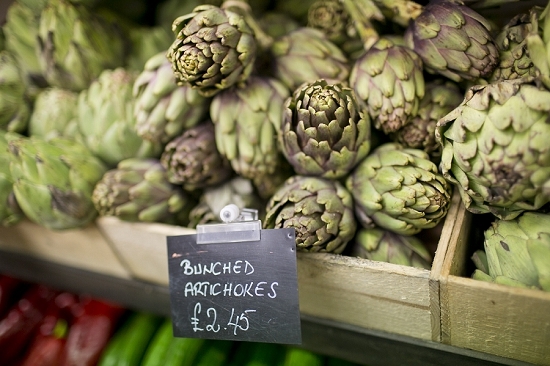 The shop sources its organic produce from Langridge. Kamil notes that the Market is especially strong on French and Italian lines, and he also frequently uses wholesalers such as Bevington Salads and European Salad Company. 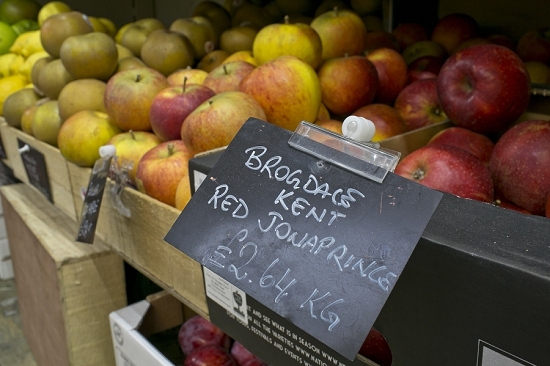 The grocers also buy English apples and nuts direct from the farms in Kent. All the partners in the three shops hail from Turkey, which may help to explain their affinity for attractive display. 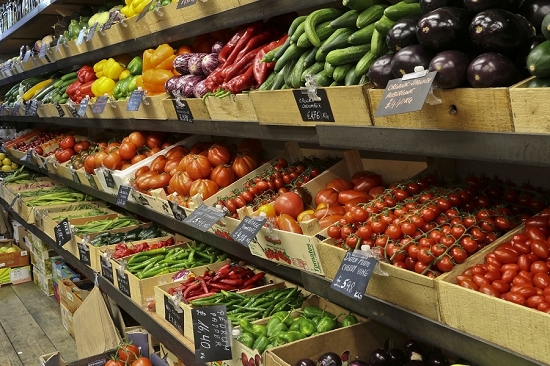 "In Turkey, all fruit and veg shops are attractive," says Suvket, who adds that the country is a "vegetarian's heaven", with abundant resources in fresh fruit and vegetables. 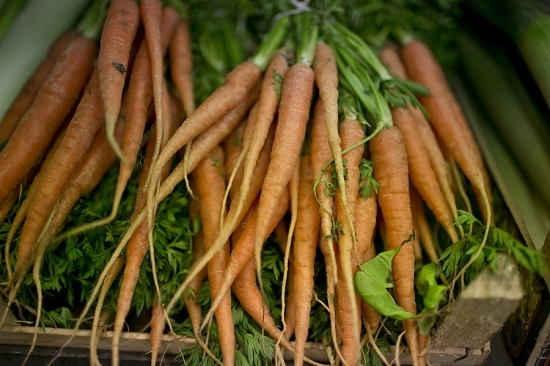 "We are in love with fruit and veg," concludes Kamil, as he leaves in his van. "That's why we work hard but really enjoy what we do."